I felt like watching a Hollywood movie while reading this book!!! 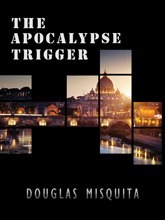 Author, Douglas Misquita has to appreciated for conceiving a story like this that involves lots of places and lots of characters that's why I'm even finding it very hard to review about this story. Author's vivid narration made reading exciting and fast moving..!! !